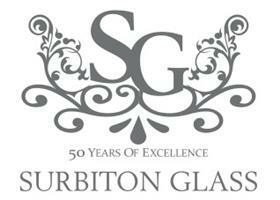 Surbiton Glass has been satisfying the glass and glazing needs of Surbiton and the surrounding area since 1965. Our team of specialist can help you with any requirement from re glazing a sash window to supplying and installing all glass balustrades. Glass technology has become not only very sophisticated, but incredibly versatile in its uses and through its take up by designers and architects has become affordable for all kinds of domestic and commercial projects. At Surbiton Glass we can provide exciting and creative solutions for glass products in every area of the home. - Glass work tops breakfast bars, shelving, including UV Bonded stainless supports. We are happy to discuss any requirements you may have so please feel free to contact us.